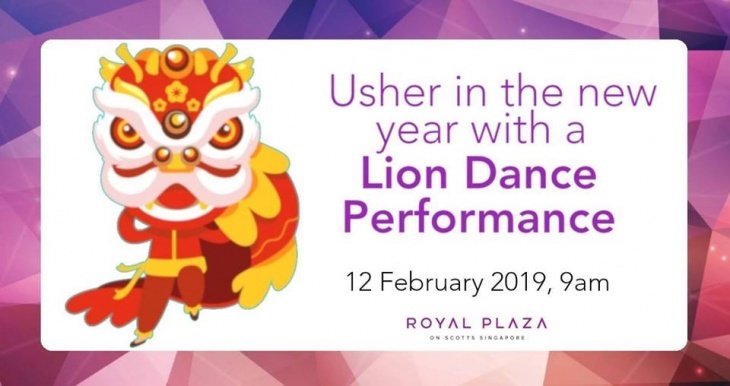 Revel in the lively festivities at Royal Plaza on Scotts as we welcome the New Year with a Lion Dance Cai Qing performance! The display – which literally means “plucking the greens” – involves the spectacular acrobatic stances by two persons (operating the head and hind legs of the lion) retrieving an auspicious lettuce and red packet typically hung on a pole. Orchard MRT (3-minute walk)Bus 5, 54, 105, 124, 128, 132, 143, 162, 162M, 167, 171, 190, 700, 700A, 971E, NR1, NR2, NR3 (Stops outside hotel).